I love the holidays! Christmas makes me especially happy and I always love indulging in Christmas books, movies, and music during the season. Usually around September, I start scouring the internet for new releases for the year. This year I put out a call and did a ton of emailing to try to get the most comprehensive picture possible. Let me tell you, book people are the best! They were willing to respond and tell me what they have coming up! The movie and music news will be more limited since I got no word back from them! Anyway there's enough new stuff coming out that I decided to break this up into several posts. This is just to let my fellow Christmas fanatics know what's out there--I will be reviewing some of these books but closer to Christmas! 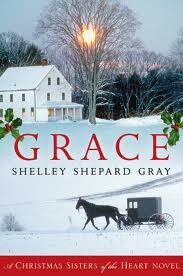 Grace by Shelley Shepard Gray is coming October 26th from Avon Inspire. It’s Christmastime at the Brenneman Bed and Breakfast, and everyone is excited about closing down for the holidays. But when two unexpected visitors appear seeking shelter, the family’s commitment to hospitality is tested. First Levi arrives, sullen and angry . . . but insisting on staying for five days. Next Melody shows up. She’s almost nine months pregnant, but won’t say a word about why she traveled all the way from Kentucky by herself. As the two strangers settle in, the Brennemans try to make the best of an uncomfortable situation, except for Katie, who and knows a thing or two about keeping secrets. She is determined to learn the truth about these two strangers . . . all while keeping her own secret safely hidden away. 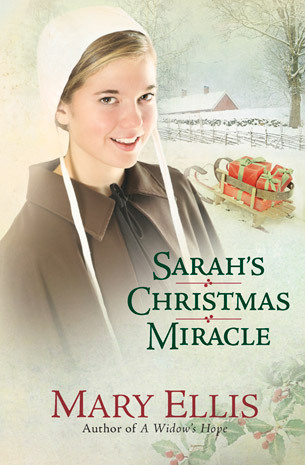 Sarah's Christmas Miracle by Mary Ellis is available now from Harvest House Publishers. A Simple Amish Christmas by Vanetta Chapman is available now from Abingdon Press. 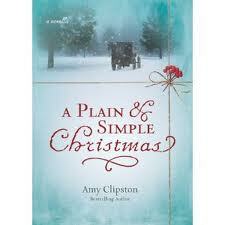 A Plain and Simple Christmas by Amy Clipston is available now. In the tradition of her widely popular Kauffman Amish Bakery series, author Amy Clipston tells the tale of Anna Mae McDonough who was shunned by her family four years ago when she left her Amish community in Lancaster County, PA, to marry an 'Englisher' (non Amish) man and move with him to Baltimore. Now, eight months pregnant when her first child, she longs to return home for Christmas to reconcile with her family, especially her stern father, who is the religious leader for her former Amish church district. So Anne Mae writes a letter to Kathryn Beiler, her brother's wife, to enlist her help. Kathryn asks her husband, David, if she should arrange Anna Mae's visit. David cautions her that a visit would cause too much stress in the family and instead suggests they visit Anna Mae and her husband in the spring. However, Kathryn arranges the visit anyway, believing in her heart that it's God's will for the family to heal. When Anna Mae arrives in Lancaster for Christmas, she doesn't receive the welcome she expects and her world begins to fall apart, leaving her to question her place in her family -- and her faith in God. A book filled with love, the pain of being separated from one's family, and the determination to follow God's will regardless of the outcome, A Plain and Simple Christmas is an inspiring page-turner that will keep you guessing what happens next...right to the very last page. An Amish Christmas by Cynthia Keller is coming from Ballantine October 26th. An Amish Christmas, Expanded Edition is available from Thomas Nelson. 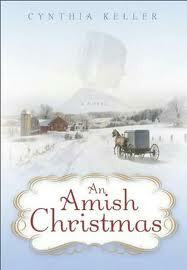 An Amish Christmas by Patricia Davids will be available from Love Inspired in December. WOW! 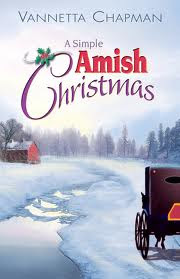 I'm amazed at how many Amish Christmas books there are this year! Which one looks the best to you?